Achieve flawless and well defined brows with the Revolution Pro Brow Pomade. It features a pigmented creamy formula that glides on and dries down quickly for a long-lasting and smudge-Proof matte finish. Apply a small amount using a slanted brush to tame, define the brow shape, fill in sparse patches for a fuller look, and create a fluffy editorial finish. Available in eleven shades to perfectly match every hair colour, and create a finish as natural or bold as your choose. Explore the entire range of Eye Brow Enhancers available on Nykaa. 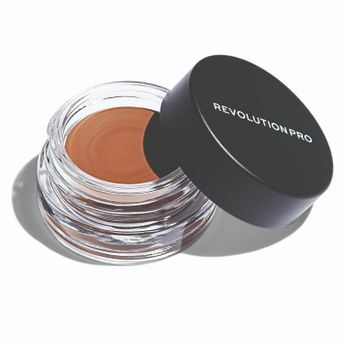 Shop more Revolution Pro products here.You can browse through the complete world of Revolution Pro Eye Brow Enhancers .Alternatively, you can also find many more products from the Revolution Pro Brow Pomade range.